Although the sheer abundance of babi guling and ayam bakar on menus and roadside stalls in Bali might have you thinking otherwise, the island really is a haven for vegetarians with plenty of restaurants and cafes offering up everything from super stacked salads to raw vegan treats. For those with tastes that lean towards the green and leafy, we give you Bali’s best vegetarian eateries. 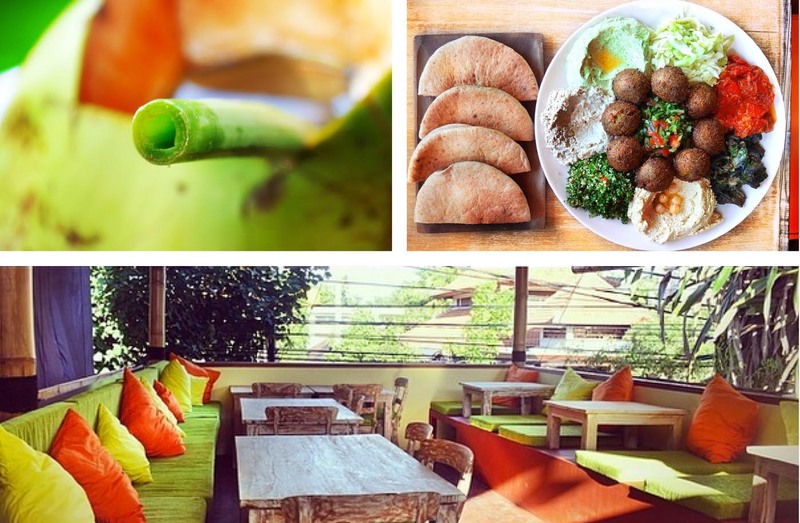 If any place screams veggie or Ubud more than Alchemy, then we don’t know what it is. 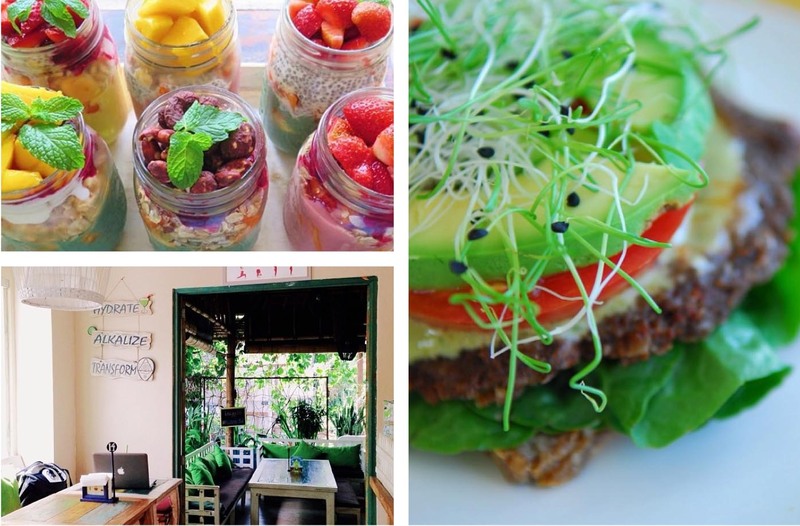 Alchemy is the island’s first 100% raw vegan cafe and juice bar, and they serve up a wide array of veggie dishes, smoothies and sweet treats made with organic live food. Create your own salad here with daily changing ingredients like curried vegetables, seasoned nuts and house made sun dried tomatoes, pick up some healthy items at the organic health food store, or check up on your vitals at the holistic clinic in the back. Brought to us by owners of Down to Earth, Zula is a health-conscious cafe that serves up vegan and vegetarian fare. With the mission statement, ‘We do not use anything with a face or a mother’, you can be sure that you’re getting all greens, grains and good stuff in each and every dish. Popular choices include the Planet Platter with brown rice, tofu, tempe, beans, seaweed and pickled vegetables, the Quinoa Coconut Curry and the Tofu Lemon Cheesecake. 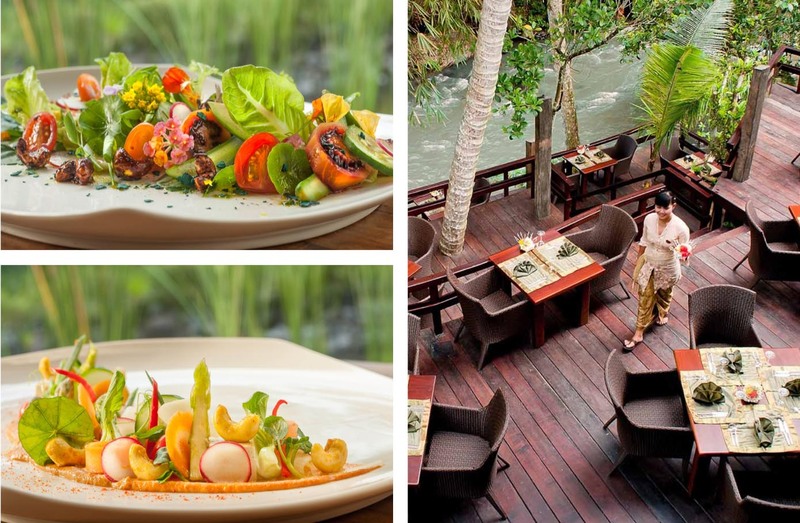 Situated on the banks of the gently flowing Ayung River, Fivelements’ signature restaurant is impressive for its dramatic bamboo architecture and fine dining vegan and raw living foods menu. Guests can opt for a la carte dishes like the Stuffed Zucchini Blossoms, Live Lasagna or Gado Gado Rolls, or indulge in one of the chef’s 3, 5 or 7-course tasting menus. Be sure to try one of their delicious desserts made with ingredients like raw cacao, vanilla and fresh berries. 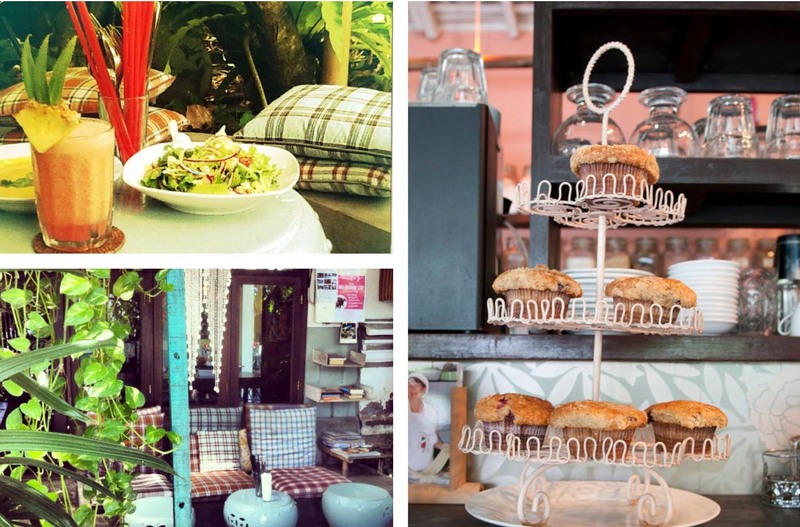 This hip little spot in Canggu offers organic veggie dishes with an Asian twist. Menu items include the Papaya Salad, Rice Paper Rolls, Corn Fritters, Won Tons and Pad Thai to name a few. They also offer fab bento box lunch sets that feature a range of healthy items like steamed greens with sesame, tofu puffs, Japanese salad, pickled vegetables and red rice. As a testament to how good the food is, they’re currently building a second kitchen to cope with the multitude of walk-in and delivery orders they get every day. If all those downward dogs have your stomach rumbling for something fresh, tasty and meat-free, make your way to the Garden Kafe at the Yoga Barn. The focus here is on healing foods and raw living vegan cuisine, although there are some cooked dishes thrown in as well for good measure. Start with a fresh juice before moving onto heartier fare like the Raw Tacos, Lasagna and Mini Pizzas. The Garden Kafe also offers special Detox and Ayurvedic Rejuvenation menus.